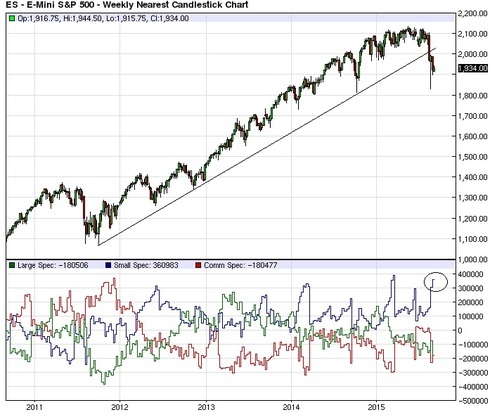 The COT Positions Perfect Storm ? 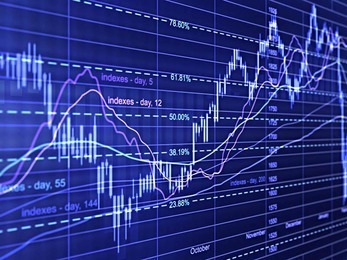 COT ( Commitment of Traders ) Positions​​ have reached critical level. 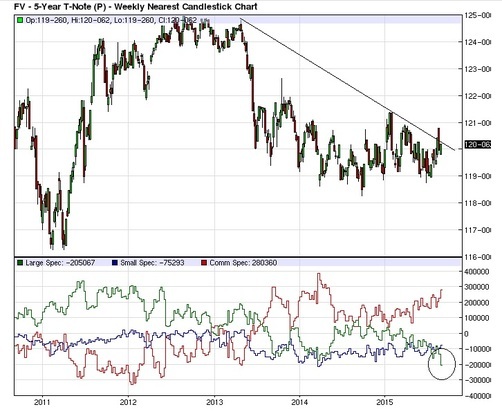 2) ​​US Treasury 5 Year Note Futures : Large Speculators are the shortest of the past 5 years. 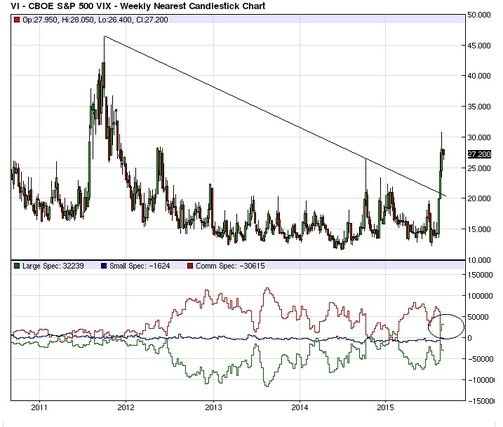 3) ​​SP500 Volatility Index - VIX Futures : Large Speculators are the longest of the past 5 years. 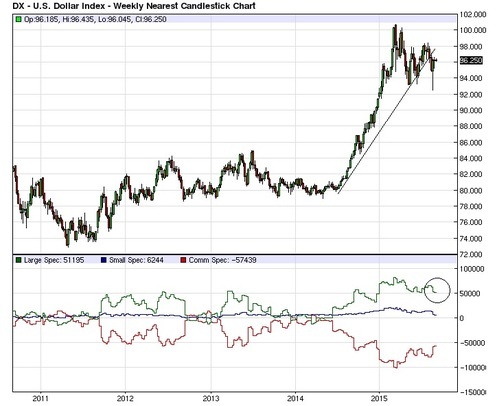 4) ​​US Dollar Index - DXY Futures : Large Speculators are quite long compare to the past 5 years. 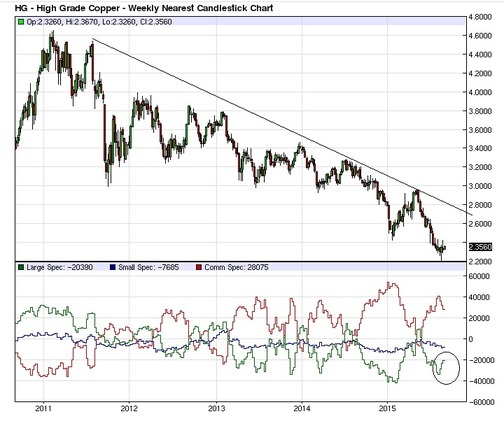 5) ​​High Grade Copper Futures : Large Speculators are quite short compare to the past 5 years. 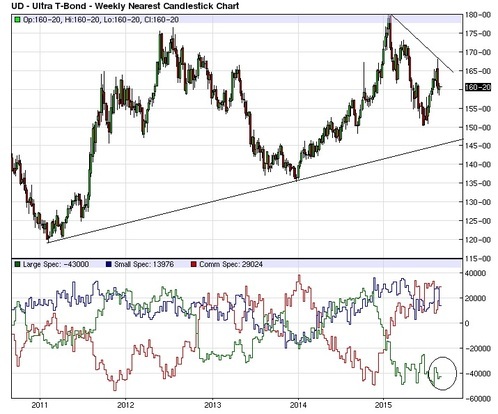 ​​6) ​​US Treasury Ultra T-Bond Futures : Large Speculators are quite short compare of the past 5 years.